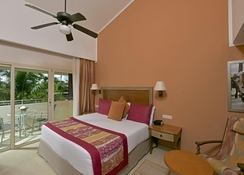 The Iberostar Punta Cana hotel is located on the east coast of the Dominican Republic. 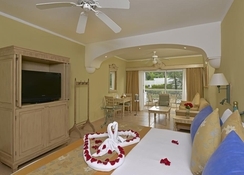 There are a total of 427 air-conditioned rooms, equipped with a minibar, private balconies or patios and free wireless internet access. The hotel offers a variety of services and facilities, such as laundry, room service and a hairdressing salon. In addition, there are various shops and a supermarket in the building. Business travellers will appreciate a dry cleaning service as well as conference and meeting rooms. The beautiful outdoor pool area with three pools offers a children's area as well as a Jacuzzi. The hotel's outdoor sports program includes a variety of activities, including archery, sailing, windsurfing and basketball. This exclusive luxury hotel is located in front of the Arena Gorda beach, surrounded by palm trees and a beautiful tropical area. The nearest town is Higüey, about 40km from the hotel. 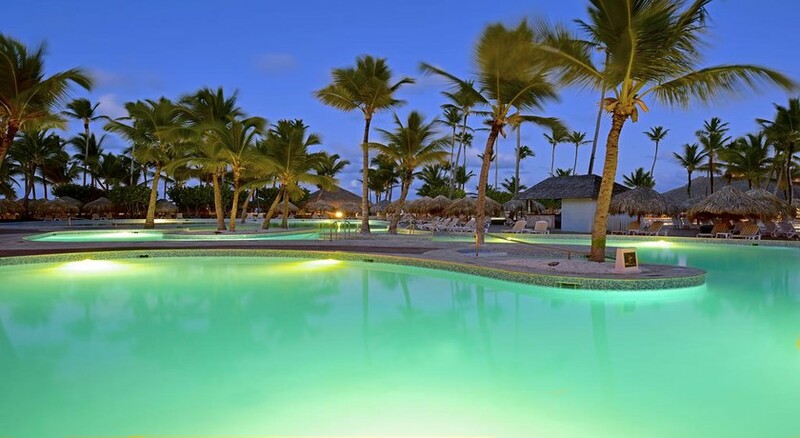 The transfer time to the Punta Cana International airport is about 30 minutes – 26.2km. 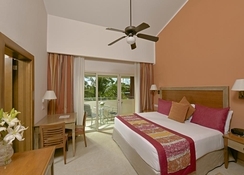 Iberostar Punta Cana is a five-star hotel and offers world class facilities and amenities. 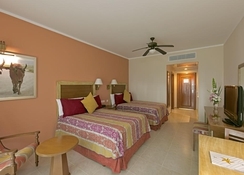 The hotel offers a total of 427 rooms. 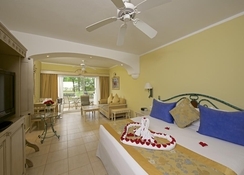 Guests can choose from normal and double family rooms, standard rooms, and double rooms with garden, pool or panoramic views. There are also a host of suites available. All the rooms feature a digital safe, alarm clock with radio, flat-screen TV, minibar, coffee maker and iron & iron table. The en-suite bathrooms have a vanity sink, shower and bathtub combo, and a hairdryer. 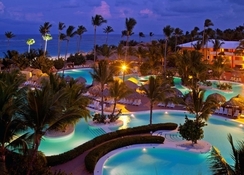 Dining has always been an experience at the Iberostar hotels and Iberostar Punta Cana is no exception. The hotel has nine restaurants and three coffee shops / cafes. A variety of drinks are served in all of the eight bars & lounges and at the pool bar. Enjoy international and Mexican buffet for breakfast and dinner, Thai cuisine at La Pagoda and a host of other restaurants. Sip in cool cocktails at the Macao Bar, Chiringuito or the La Tambora Bar. Outdoors, there is a swimming pool with a children's area and a sunbathing area, equipped with parasols and sun loungers. There is also a Jacuzzi, steam bath, sauna and massage service available. Those who would like to shed some extra calories in a fun way will have the opportunity to play tennis and volleyball, practice aerobics and archery or use the gym. So that you do not get bored, you are offered a daily program of activities and entertainment. Please book in advance in the restaurants.